Priced at Rs. 59,638 (Ex-showroom, Mumbai) for the base model, Hero's premium 125cc machine the Ignitor will be on sale from next month onwards. 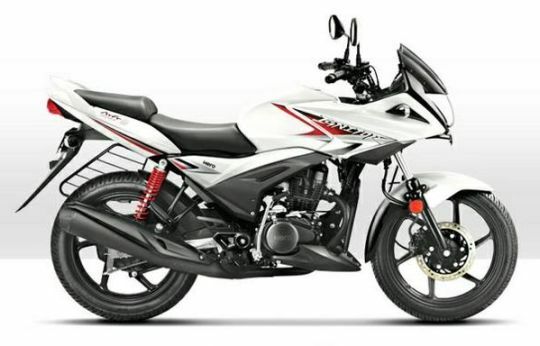 Pricing for Hero Motocorp's choice of weapon in the 125cc segment, the Ignitor is out in the open and surprisingly it is priced a tad over its brother from another mother, the Honda CBF Stunner. Priced at Rs. 60,740 (Ex-showroom, Mumbai) for the top-end Self/Disc brake variant, the Ignitor is approximately Rs. 800 costlier than the Honda CBF Stunner, which has been the premium 125cc offering from the Japanese giant. Price for the base variant which comes minus the disc brake upfront is Rs. 58,638 (Ex-showroom, Mumbai). The Indian major had shown the Ignitor early this year at the 2012 Auto Expo fair in New Delhi, and the official launch is expected to be conducted shortly. Despite the break-up, Hero still has a few Honda-based products in its kitty and the new Hero Ignitor is one of them. Fundamentally the same as the Honda CBF Stunner, the Ignitor gets aesthetic revamp from Hero. Employing identical underpinnings as found on the CBF Stunner and powered by the same trusty Honda 124.77cc ATFT single cylinder air-cooled engine making 11PS of power and 11Nm of torque, the only major factor that sets the Ignitor apart are the cosmetic alterations primarily on the front fairing as well as finer exterior detailing on the new Hero motorcycle. The front fairing gets pseudo air-scoops and the moniker Ignitor emblazoned on the flanks of the front quarter fairing. Edgier and funkier than the one seen on the CBF Stunner the front-end of the Ignitor is complimented by body-coloured rear view mirrors. The two striking features on the Ignitor are inclusion of a digital speedometer and a kick-starter while the CBF Stunner employs a fully analogue instrument console and does away with the kick-start option. On the inside, while the power numbers are similar between the two motorcycles, the Ignitor makes 11Nm of torque lowdown the range at 5,000rpm, which is 1,500rpm lower than the CBF Stunner's 11Nm of torque peaking at 6,500rpm. With the torque being made available lower down the rev-range, the Ignitor should have excellent in-town rideability as well as impressive in-gear acceleration. The power from the engine is transmitted via a 5-speed gearbox with a one-down/four-up shift pattern on the Ignitor. Handling the suspension duties are telescopic forks upfront and twin adjustable shock absorbers on the rear, while stopping power comes from a 240mm disc brake upfront and a 130mm drum brake working on the rear. The 17-inch wheels are shod with tubeless tyres. Click here to see the specification details.